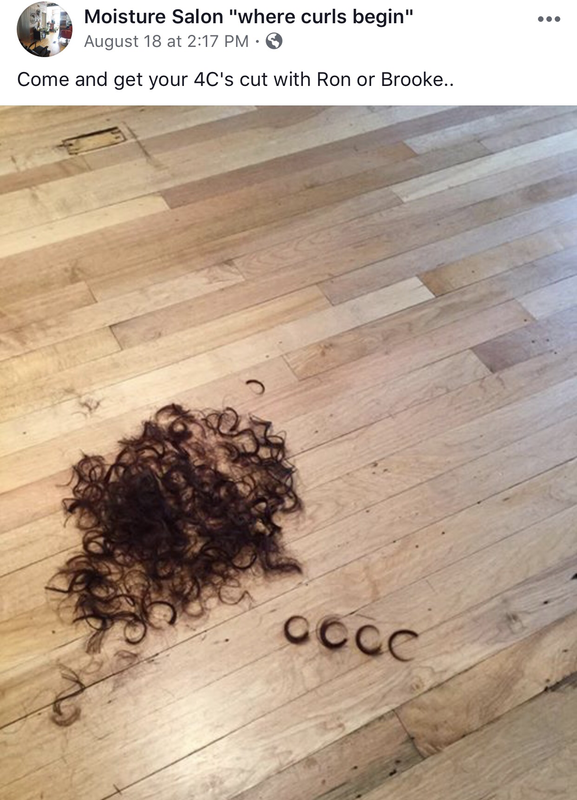 If you have wavy or curly hair, chances are that you have been traumatized by at least one haircut in the past. Maybe you ended up sporting the dreaded “triangle cut,” or maybe your hair ended up much shorter than you expected because the stylist didn’t account for spring factor. Almost anyone I’ve spoken to with waves or curls has at least one story of a haircut gone bad. I lucked out three years ago and managed to find a stylist that I love. I met Ron Suriano of Moisture Salon in September of 2014. 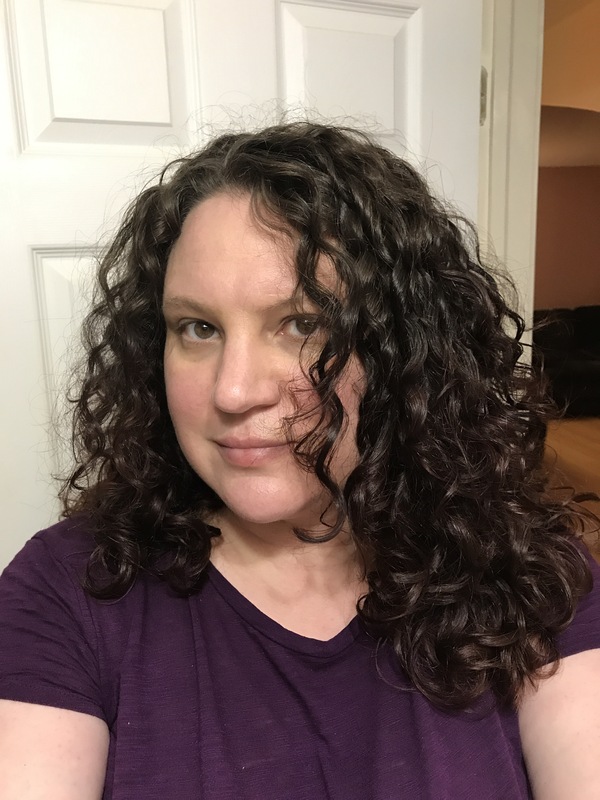 By then, I had been getting dry curly cuts for over two years, so it surprised me when Ron was able to demonstrate styling techniques and ideas that were new to me (anyone who knows me knows I am a total nerd who obsessively reads everything I can find on topics that interest me). 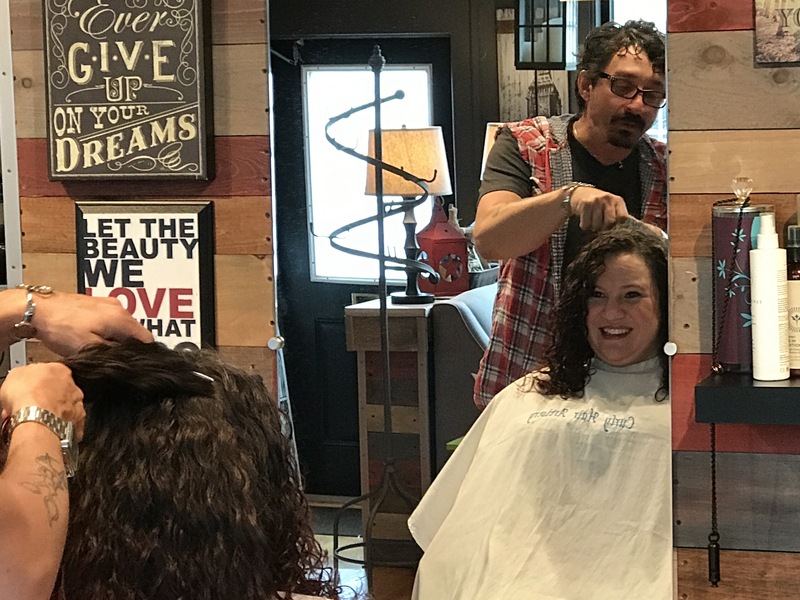 Ron is a member of Curly Hair Artistry, a collective of stylists who specialize in curly and wavy hair. The most impressive aspect of this group is that there is a focus on continuing education (and of the stylists learning from each other). Unlike some of the more well known curly hair certifications (looking at you, Deva), this isn’t about taking a single class, earning a certificate and moving on. Besides Ron, I’ve so far had the privilege of seeing two other CHA stylists for cuts (and my bucket list includes seeing at least several more). 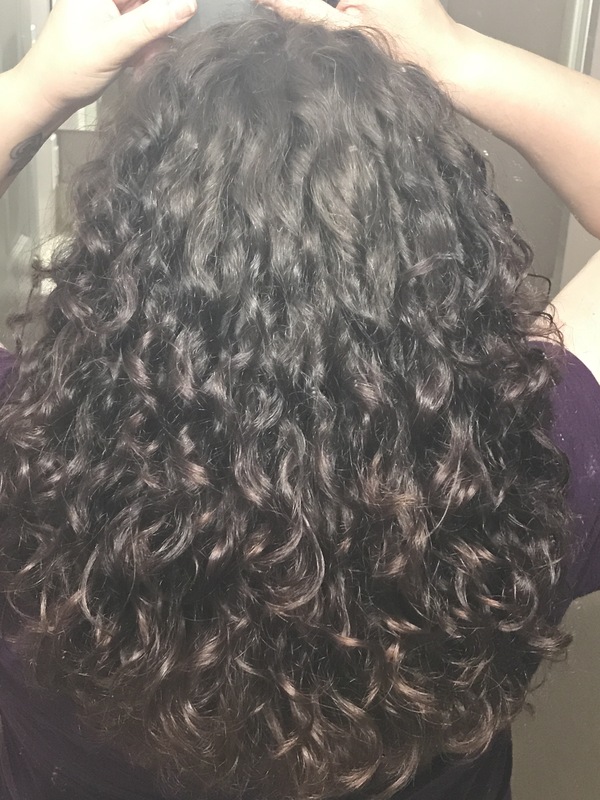 Each stylist I’ve seen has been able to teach me something that’s helped me care for my curls even more. Better yet, CHA stylists are generally not committed to a single brand’s product line, so you can feel confident that any product recommendations will work for your specific hair. I went to see Ron a few weeks ago (sorry, I’ve been totally slacking with posts). Because the cuts grow out so well, I only need to get my hair re-shaped twice a year, which is a definite perk. I actually live over an hour away from Moisture Salon, but would happily drive twice as far. My favorite analogy of a good curly hair cut is shaping a bonsai tree. It’s more about the shape of what’s left than what’s removed. While there are curly hair cutting techniques that involve cutting hair when it’s wet (like a traditional cut), I prefer getting my hair cut when it’s dry. I’ve found the overall shape to be more flattering and the cuts grow out much nicer. The nice part about the bonsai analogy, is that it explains how cutting only a small amount of hair can make a huge change in the final look. Returning customers have the option of just getting a dry cut and leaving, but I prefer to do the whole experience (especially considering the drive). In contrast to traditional cuts, hair is washed and styled after the cut is complete. How many hair dryers does it take to get my hair dry in less than an hour? I’ve personally found that even after the best haircut, it usually takes about 1-2 weeks for my hair to settle (the post-cut hair freak-out is real). Since I’m trying to grow my hair out a bit longer, there isn’t a huge difference in length, but the end result gives me much more volume around my face and near my roots, without creating a triangle shape or leaving my ends looking thinned out. 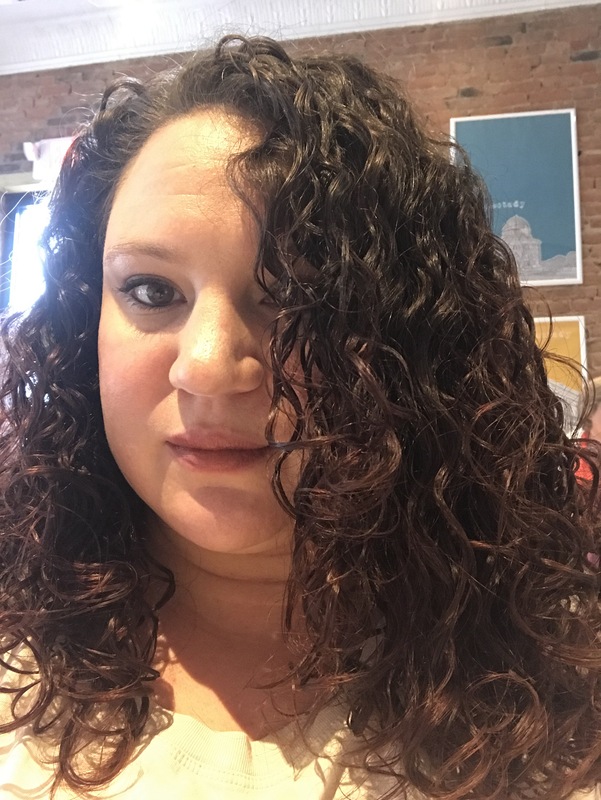 To give you an idea of how much more volume I have- I diffused my hair in my before pic (a technique that increases curl and volume), but my after pic is air-dried only. Bottom line is that haircuts definitely do not need to be a scary thing just because you have curly or wavy hair. The key is finding a stylist who knows how to work with your natural texture. If you’re looking for a starting point, my recommendation would be to check Curly Hair Artistry’s website for stylists in your area. 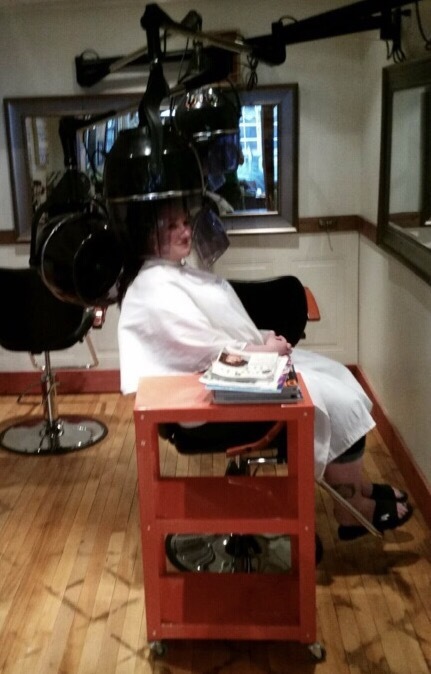 Deva’s website also maintains a list of stylists who have completed their training. As with anything, results can vary dramatically depending on the skill level of the stylist (and sometimes it can take some trial and error to find the right person).